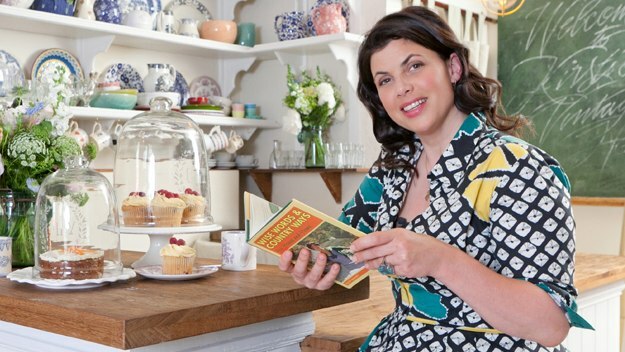 I’m a little late in writing a post about Kirstie Alsopp’s new series, although I did review the book to accompany it a few weeks ago. I’ve always been a big fan of Kirstie’s ever since the early series of Location, Location, Location and as a vintage home obsessive I love to get inspiration from her newer TV work. If you love a bit of craft, make-do-and-mend or upcycling then this is a great programme to watch. I also love her little tips on vintage shopping which for someone new to thrifting can be really helpful. Watching Kirstie makes me want to raid skips and trawl salvage yards for perfect one of a kind pieces. What I like most about the series is that it encourages us to make our homes amazing in such an individual way, without buying new. If you’re looking for vintage home inspiration or just want to learn a few new crafts then this is the show for you. Kirstie’s Vintage Home continues on Thursday evenings on Channel Four.